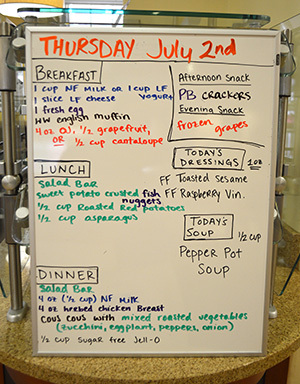 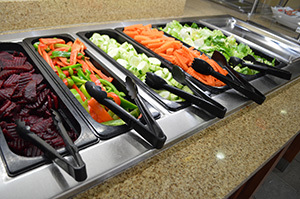 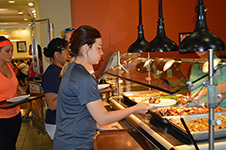 Our meal plan is based on the U.S. Dept of Agriculture’s “My Plate”. 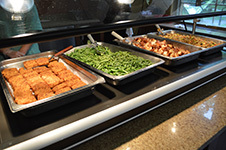 We offer three meals a day and daily afternoon and evening snacks. 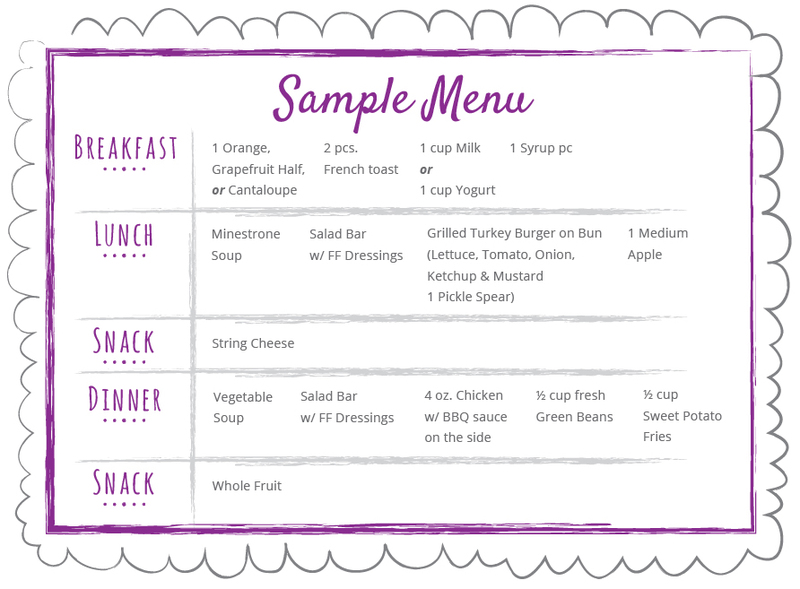 This meal plan reflects proper emphasis on portion control and less fat consumption while teaching the importance of adding more fruits, vegetables, protein and whole grains to their diets.